Hello! Thank you so much for all of your enthusiasm and kind words so far this week. Today I have previews of three more sets that will be available for purchase tomorrow, May 30th. 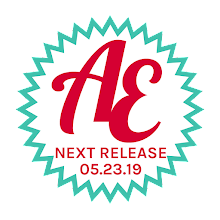 We will also be having our Designer Blog Hop tomorrow to celebrate this release so you will want to stop by for a fun giveaway and a LOT of inspiration! If this is the first time you are visiting us this week, be sure to check out these two posts to see previews of the rest of our June/July release here & here. 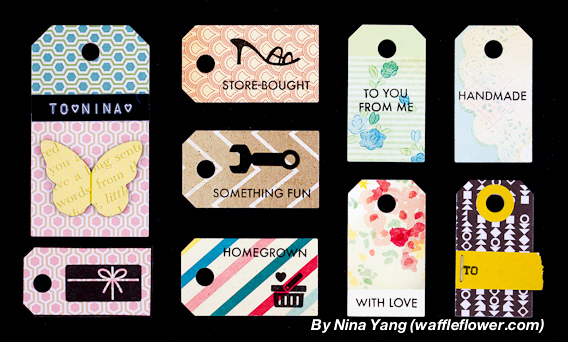 Today is an especially exciting day because I get to introduce two new stamps sets illustrated by.... Nina Yang! We have been keeping this secret for a while and I am so happy to finally tell everyone about it!! 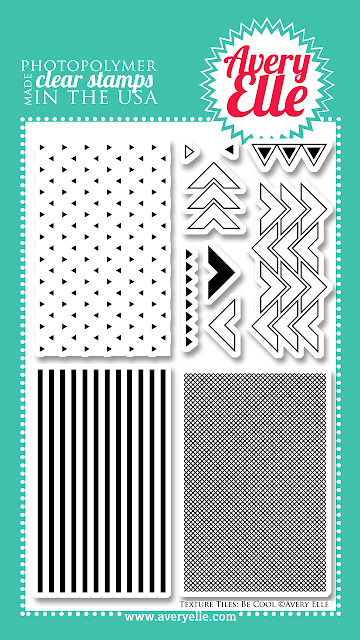 Nina has packed her Simply Tags: Everyday & Texture Tiles: Be Cool stamp sets with so many fun possibilities. They are versatile, modern, fresh and fun!!! Just check them out to see for yourself. Our 4" x 6" Simply Tags:Everyday clear photopolymer stamp set (designed by Nina Yang) is exactly what you need to create the perfect gift tag . With sentiments for handmade, store-bought and homegrown gifts this set is a must have staple in any stamper's collection. Measurements: Large Tag - 2 3/4" x 1 1/2" ; Small Tag - 15/16" x 1 12/16"; Thanks sentiment: 2" x 9/16"
Our 4" x 6" Texture Tiles: Be Cool clear photopolymer stamp set (designed by Nina Yang) has so many possibilites . Stamp the textures and patterns onto a tag, card, journal card to create your own custom background. 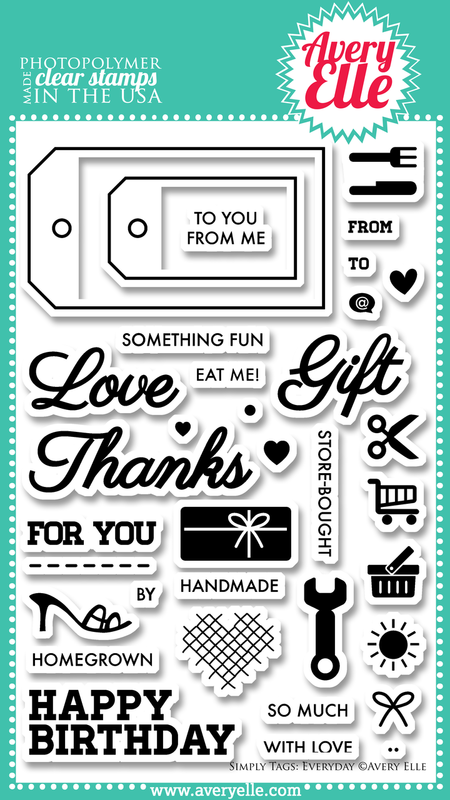 "Kiss" your solid image stamps with these stamps to create even more depth and interest on your projects. Measurements: Tiles measure approx 1 6/8" x 2 3/4"
Be sure to check out Nina's blog today. You will not want to miss all of the incredible ideas that she has for these stamp sets and dies. This is just a little peek of what you will see! 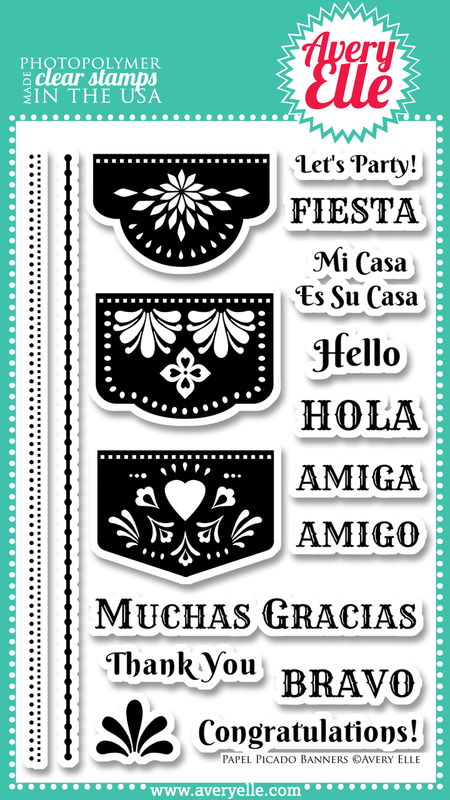 My good friend Rebecca Sanders of RASCAL STUDIO designed our Papel Picado Banners set. From the first day that we discussed the idea for this set I *needed* it ASAP!! This is one of those sets that makes this San Diego girl happy just looking at it!! 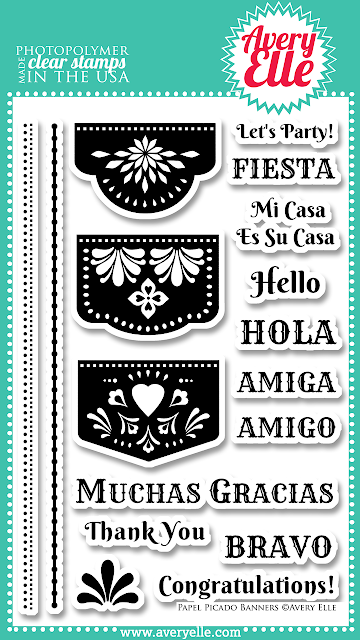 Use the banners in our 4" x 6" Papel Picado Banners clear photopolymer stamp set (designed by Rebecca Sanders) to create fun and festive invitations, thank you notes or scrapbook pages. The classic banner images used in bright colors are perfect for your next fiesta! Measurements: Banners average - 1 5/8" x 1 1/8" ; Muchas Gracias sentiment - 3" x 1/4"
Our Papel Picdo Banners Custom Steel Die are exclusive to Avery Elle. 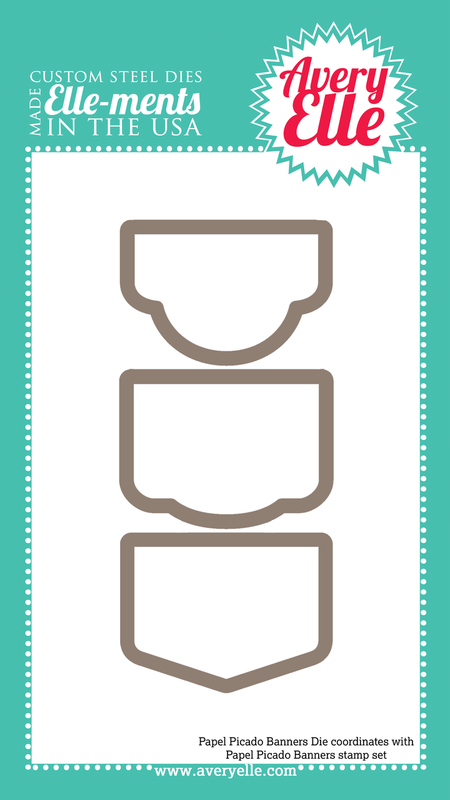 These premium steel dies coordinate with our Papel Picado Banners clear photopolymer stamp sets and are proudly made in the USA. Measurements: Banners average - 1 5/8" x 1 1/8"
When I asked the design team if they had a preference on which previously released stamp set they would like dies for first, the answer was unanimous. That made it easy on me! LOL. So, we are also releasing a custom die set that coordinates with our very popular Petals & Stems clear photopolymer stamp set. 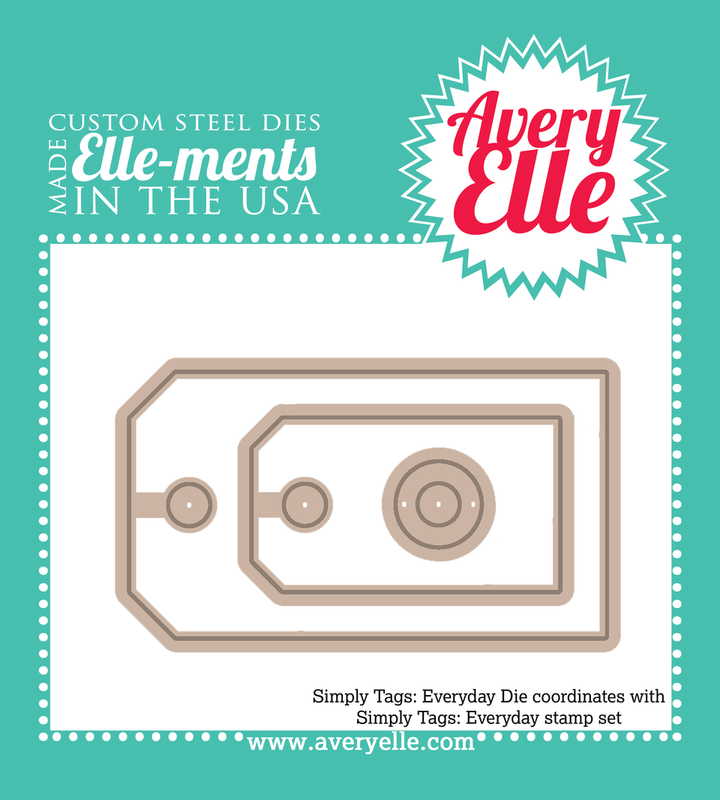 Our Petals & Stems Elle-ments Custom Steel Die are exclusive to Avery Elle and coordinate with our Petals & Stems clear photopolymer stamp set. 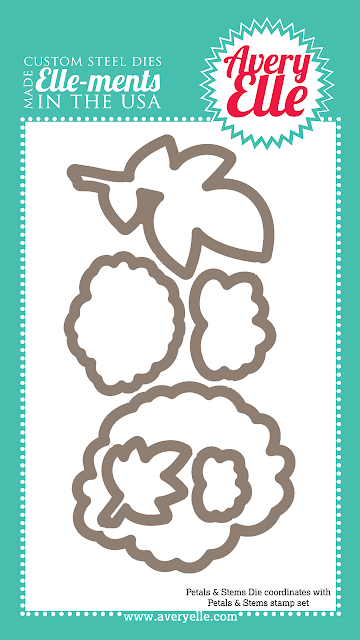 I have a fun project to show you using our new Papel Picado Banners stamp set. I love that I can stamp the images first and then cut them out with the dies for perfect placement every time! I also have this FABULOUS card by our May Guest Designer, Amy Kolling. While getting everything together for the release festivities, I completely slipped and didn't include this card in the post. A big heartfelt apology to Amy for my goof! It has been such a pleasure having her with us this month. I have been so inspired by her amazing talent. 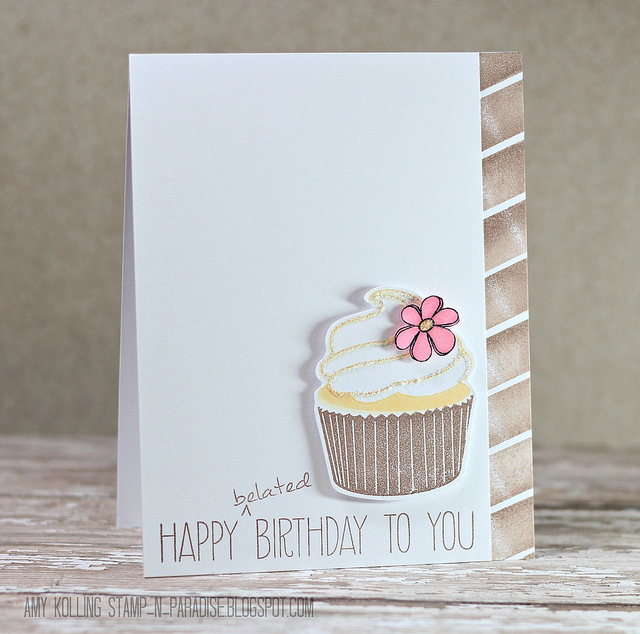 Amy created this card using our Handwritten Notes and Cupcakes clear photopolymer stamp sets. See those distressed stripes on the right hand side? She flipped the Happy Birthday To You sentiment over and stamped with the reverse side. So clever! 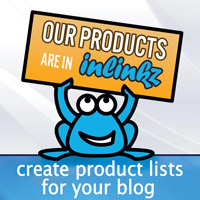 Be sure to stop by Amy's blog for all of the details. Thanks for stopping by to take a peek. I hope to see you at our hop tomorrow. Hi Jamie, Day 3 sounds great. I am wondering if I am having computer problems where I cannot see the stamp sets and dies like I was able to see on Day 1 and Day 2. I am unable to see them. SO sorry! It should be fixed now. If you still can't see the pictures, please let me know. 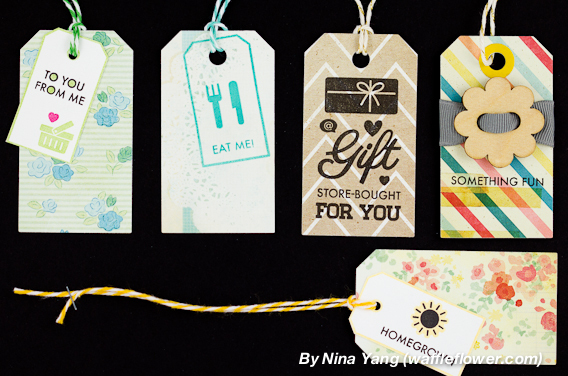 The Simply Tags are simply too perfect for every sort of use! I will definitely have to add this set to my ever growing collection of stamps! Papel picado!!!! Brilliant! I'm so excited about the concept & will have fun using it! wow! As always GREAT new stamps!!! i really love all those little icons and images with the tag sets. those will get a lot of use! Oh my, what to do, guess I'll have to have them all. Papel Picado, must have...die too. Be cool texture tiles, must have. Oh well all of them...just mortgage the house. 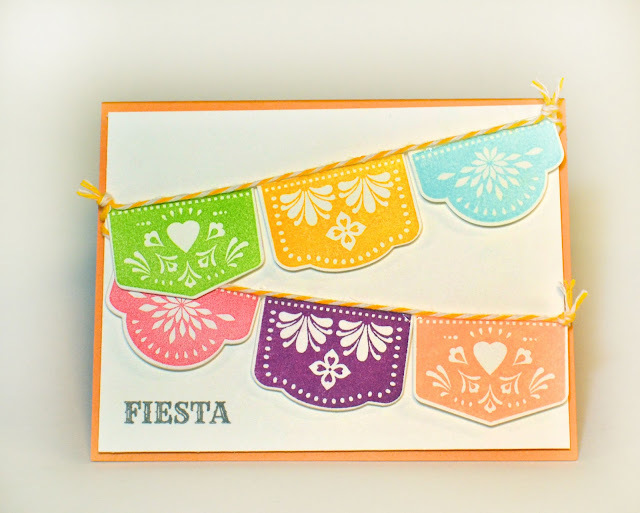 I'm really loving the new Papel Picado Banners stamp set and dies...they're a real must-have! Congrats on your new release...everything is truly amazing!